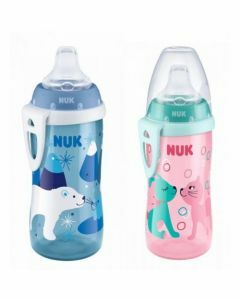 NUK® First Choice+ baby bottles make the transition from breast to bottle feeding easier. The Anti-Colic Air System ensures a natural flow to help your baby drink without swallowing air. Medium feed hole suitable for breast milk and formula.